This mask is just as strange and weird as the famous monkey whose selfie photo went viral on the Internet. 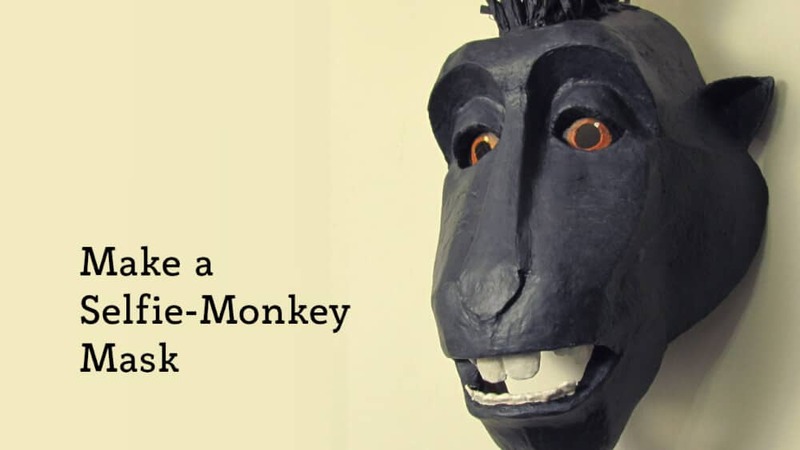 Create a unique and unforgettable wearable mask – or display your Selfie Monkey on your wall. Either way, it’s sure to start an interesting conversation! 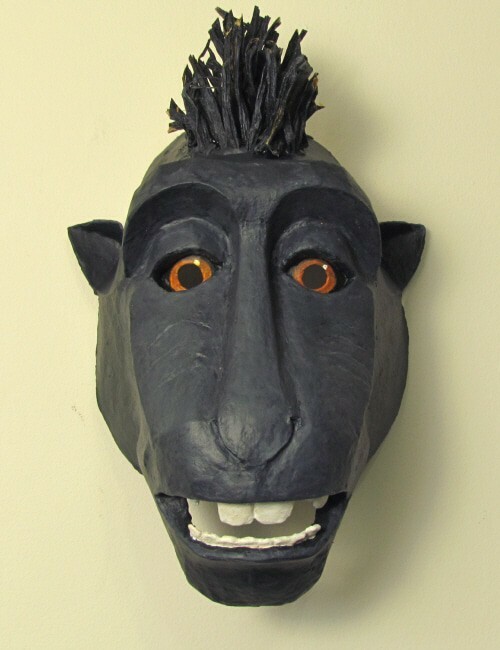 Create your paper mache Selfie-Monkey mask with just two cereal boxes, paper mache and acrylic paint. 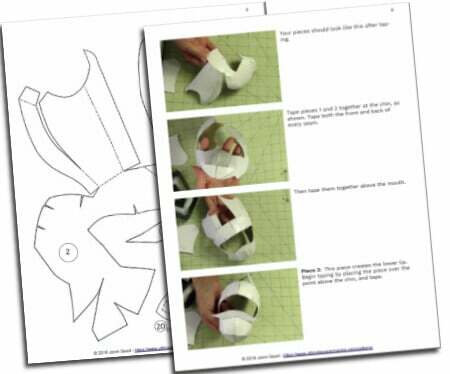 Print the pattern, stick it on your cardboard, and cut out all the pieces. 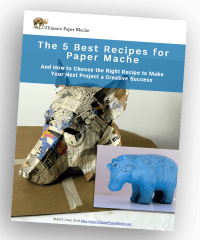 Tape the pieces together, and then cover them with one layer of paper mache. Add your acrylic paint, and you’re done. Finished size: About 12 inches (30 cm) high, 8 inches (20 cm) wide and 6 inches (15 cm) deep. 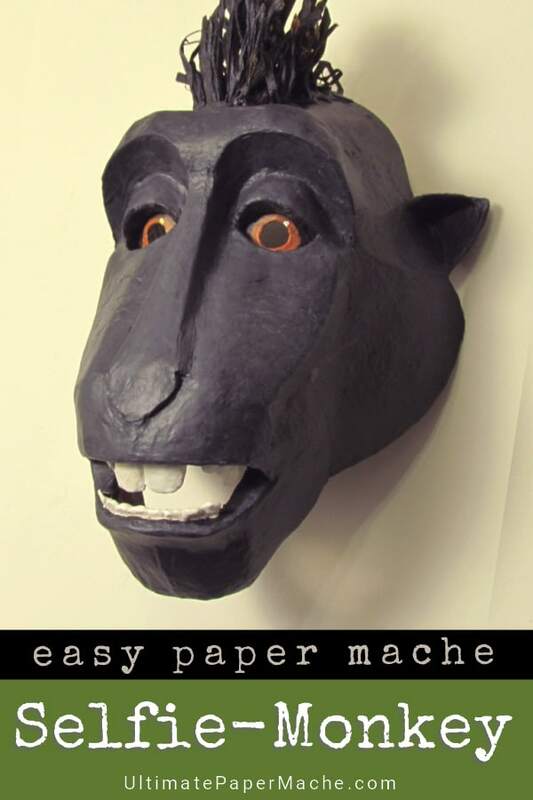 You can cover your selfie-monkey mask with traditional paper strips and paste, or with my paper mache clay recipe, which you can find in the Art Library on this site. After the paper mache is dry, just paint the mask as shown in the second video, and you’re done. Cute project Jonni! I had never heard of the “selfie monkey” before- i will look her up after writing this. I wonder just what websites you are frequenting! I agree that a solid black or white is really hard to look like it has dimension to it. I usually add some really dark blue in it as well. Nicely done and definitely fun!